Noreside Engineering Ltd are proud to announce partnership with CSi for i-Pal and Smart-Pal Palletising Systems. Product types: Cartons, trays, shrink packs, crates etc. We can deliver the i-Pal within 8-10 weeks with an installation time of only 3 days. With over 50 years experience, we have a high quality standard. All our palletisers come with a standard 3 year warranty. With Smart Palletising, you can buy, rent or lease your i-Pal. Footprint: L 3m x W 2.5m- It is on wheels so can be easily moved from line to line. Product types: Cartons, trays, shrink packs. 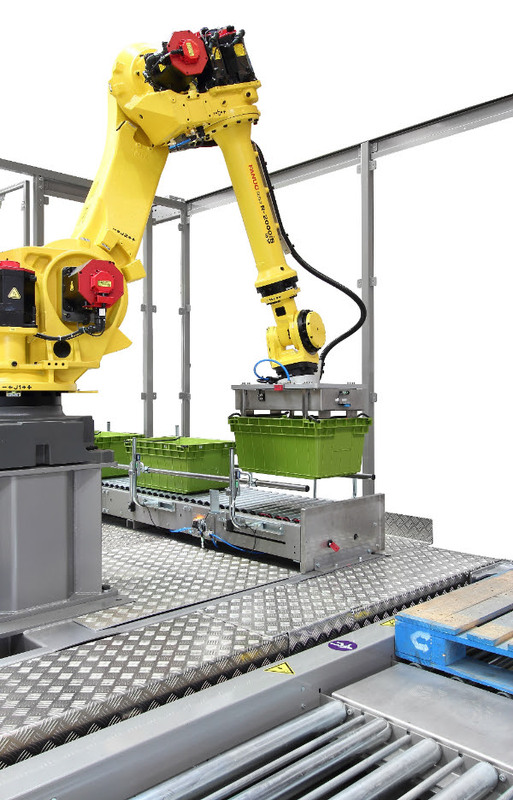 Our wish to bring automatic palletising within the reach of everyone, led to the development of a new cost-effective palletiser : the Smart-Pal is now an option for everyone looking to automate their palletising process. We can deliver the Smart-Pal within 12 weeks with an installation and commissioning time of 2 days. With Smart Palletising, you can buy or lease your Smart-Pal.